Sweet potato. What can you do with it? Typically we’d roast it, turn it into soup, bake it or make sweet potato fries but in Malawi one of the main ways it’s cooked is just boiling it. 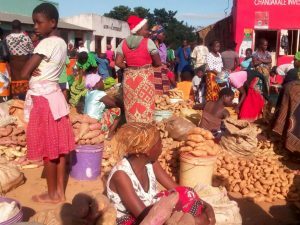 Although farmers in the area of Malawi where RIPPLE Africa are based do grow sweet potatoes, they are white fleshed varieties which are not very nutritious and don’t provide many sweet potatoes per plant. 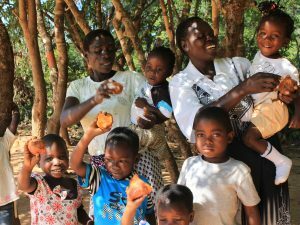 RIPPLE Africa has recently introduced a new and improved orange-fleshed sweet potato to the area which is high yielding, high in keratin and much richer in Vitamin A, a crucial vitamin for young children as many lack this and other essential vitamins in their diet. 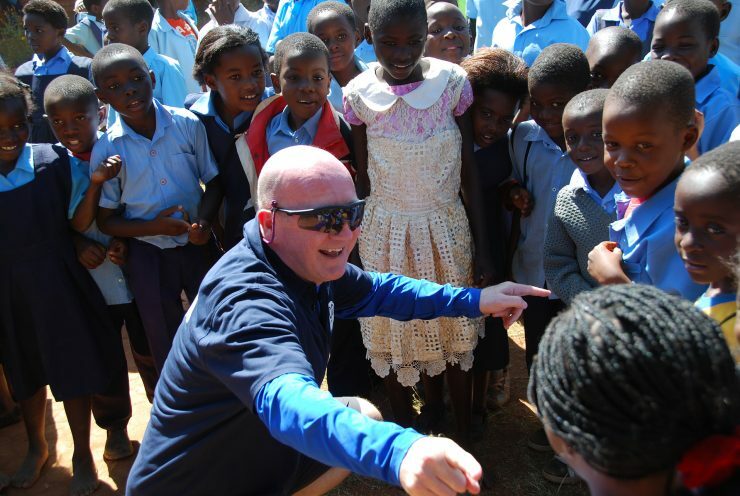 Over 40% of under-5 year olds in Malawi are stunted, 58% of primary school children suffer from vitamin A deficiency and 25% have anaemia. Farmers were given three bundles of sweet potato tubers. 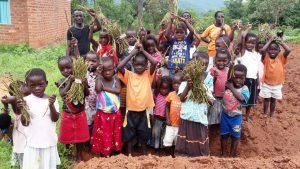 In each bundle there are 100 x 30cm tubers and when they harvest, they have enough stems to keep some for their family and to share the rest with other local families to multiply the number of people benefiting. One of the biggest challenges we face is educating locals not to peel the skin of the sweet potato as the goodness is hidden just under the skin. Can you inspire Malawians with a sweet potato recipe of your own? The staple food consumed twice a day is nsima – thick and porridge-like in consistency -made from either cassava or maize flour. Nsima has minimal nutritional value but is eaten because it fills you up. Malawians eat this with a relish (sauce) and In RIPPLE Africa’s local area they make this from either tomatoes, onions, cabbage, mustard leaves, rice or beans. Whilst they love cooking with salt they’re not keen on pepper or garlic to add flavour to their food. Those that can afford it will try to buy small quantities of meat or fish to add protein into their diet too. Since the introduction of the new and improved sweet potato, farmers have confirmed that they are harvesting many more sweet potatoes from the plants so have an abundance of the orange-fleshed sweet potato which means many are now able to eat them for breakfast too. But they are still just boiling them so we’re keen to share with them other ideas of how they could cook and consume the sweet potato. It’d be great to suggest some new recipes but bear in mind householders cook on a changu changu moto fuel-efficient cookstove. These cookstoves are made entirely of mud and run on firewood but whilst it may seem challenging, some women can be quite creative when it comes to baking a cake or mandazis – a Malawian doughnut. There are no ovens though so all your recipes need to be able to be cooked on a stove top. Inspire us!